Home» INNOVATION » PIMI : How do we take care of your Personal Information ? The future Internet will bring a growing number of networked applications (services), devices and individual data (including private ones) to end-users (citizens, consumers, employees). The important challenges are the organization of their access, and the guarantee of trust and privacy. The objectives of the PIMI project (Personal Information Management through Internet) are the definition of a model-based design environment and a deployment platform for Personal Information Management System (PIMS). 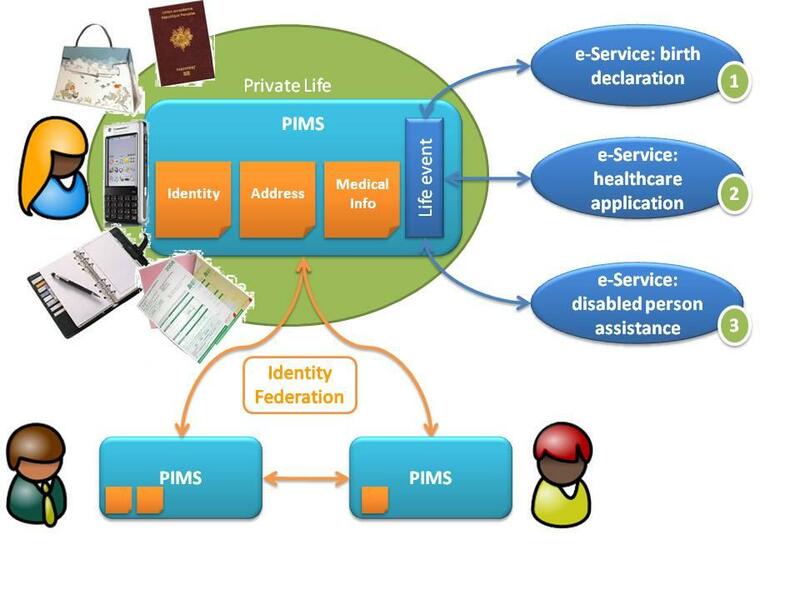 The future PIMS must provide the end-user personal data access with services that are relevant to his needs. In order to take mobility into account, the PIMS will be accessed both by mobile devices (smartphone) and Internet-connected Personal Computers. With the increasing number of e-services and associated data being accessible through Internet, the number and complexity of PIMS will augment dramatically in the near future. The project is funded by the ANR (Agence National de la Recherche) for the VERSO call (Future Network and Services). The consortium contains academics (INRIA, Institut Telecom, IRIT, LRI), SME (Genigraph et Montimage) and end-users (IUT Tarbes). Genigraph is leader.